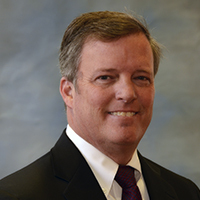 Armko Industries, Inc. | H. Ray Stringer, Jr.
Mr. Stringer is the Corporate Architect for Armko Industries with heavy commercial experience in the architectural field since 1991. He is proficient in design and production of all major components of construction, involving new construction as well as renovations and additions to all types of existing facilities. Ray holds licenses to practice architecture in six states. Early in his career, he was trained as a journeyman mason and carpenter with commercial and residential construction experience. Ray now specializes in extensive building envelope evaluations for Architects and Building Owners, which include review of subgrade, walls, doors, windows, roofs, and roof details. Ray is a member of the American Institute of Architects (AIA), the National Council of Architectural Registration Boards (NCARB), is a member and past president of the Council of Educational Facility Planners International (CEFPI), the Roof Consultants Institute (RCI) and the Texas Society of Architects (TSA). He has a Bachelor of Architecture degree from Texas Tech University.